Let's Talk About "Love Your Body Day"
People are always shocked to hear that I am not exactly on board with the body positivity movement. As someone who not only writes about wellness but has also recovered from an eating disorder, it's easy to assume that I have since "seen the light" and now champion the beauty of body diversity 24/7. That much is true, but it's also not the same thing as body positivity. The key issue I have with this movement—though I sympathize deeply with its intent—is that I simply find it unrealistic to demand that we adore our bodies all the time. And in my experience, I have found that body positivity only loads additional pressure onto the relationship we have with ourselves: When we inevitably aren't feeling so hot on a given day, we feel guiltier for not feeling hot, no matter what. That is the key distinction here: Love is not the same thing as positivity. Love, as we know, is often ugly. It can even be unbearable at times. But it's a commitment nonetheless to weather the highs and lows unconditionally because in the end, that's what makes it—and us—beautiful. I love my body. I don't always like it. But practicing this kind of awareness has allowed me to observe the negativity without judgment and move on with my life until I'm feeling great again. This mindset has liberated me from near-constant fixation. Now I prefer the term "body neutrality." It's a relevant discussion to bring up today in particular, as October 18 marks Love Your Body Day. With that in mind, we invite you to think about this loaded topic and how it applies to your own relationship with your body. Want more food for thought? Peruse some of our favorite stories on the subject below. "I have worked through a decade of body issues and finally landed in a positive space," writes our senior editor Hallie Gould. "But insecurity and anxiety still live and breathe inside my body." She makes the argument that to allow both sides to coexist is to be human. In a roundtable discussion, several Byrdie editors open up about their personal histories with dieting and body image—from middle school to now. The later stages of eating disorder recovery often exist outside of the general discourse. What is it really like to find "normalcy" again? As I've learned, treating yourself with care and dignity after gaining the weight back is tricky territory. "Dear activewear industry: I can't relate to 99% of your ads." Features editor Amanda Montell pens a critique of the typically impossible standards put forth in an industry that's supposed to be about "health"—and celebrates one brand that's getting it right. "It was one of the hardest transitions of my life," says Nastia Liukin of her decision to leave competitive gymnastics years after winning the gold medal in Beijing. 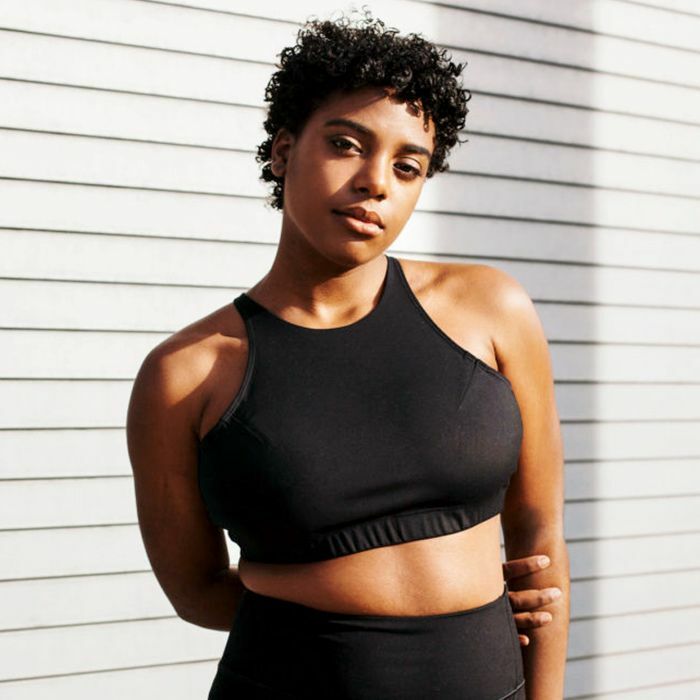 She opens up about relearning fitness outside of competition—and how she's all the better for it now. In a recent Instagram post, model Ashley Graham made it very clear that displaying her body does not make her "brave"—but it does make the person who says so extremely condescending. Next up: Learn what happened when an uncoordinated editor tried a dance cardio class.